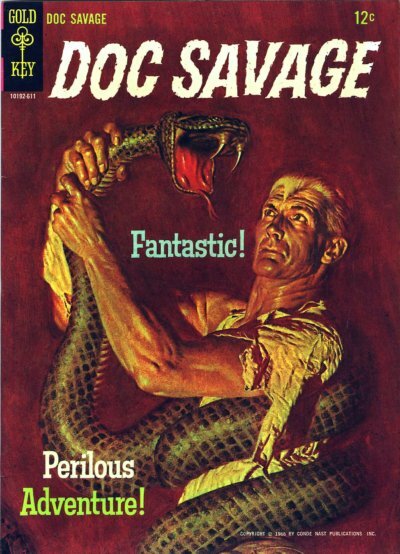 In 1966, with both Bond and Bat-manias at their peak, producers Mark Goodson & Bill Toddman intended to begin a film franchise based on the hot-selling Doc Savage pulp novels being reprinted by Bantam, starting with The Thousand-Headed Man. 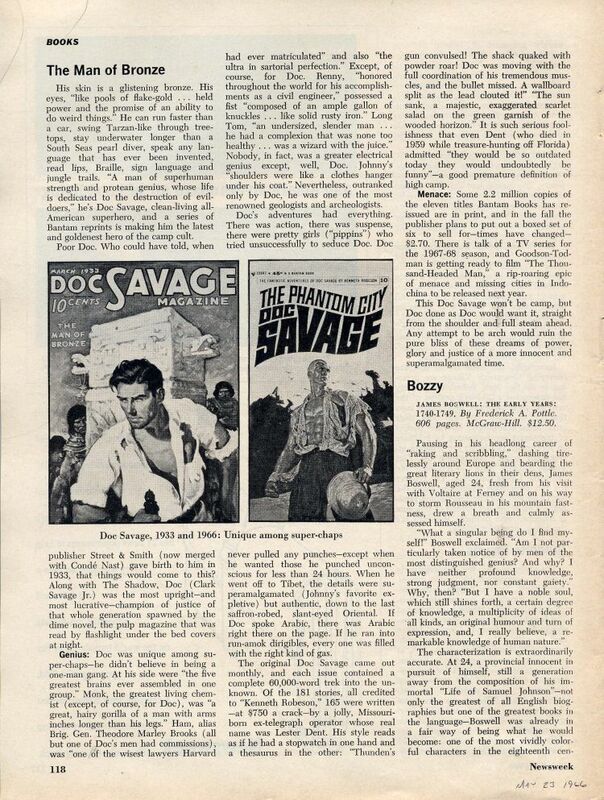 1966 Newsweek article about Doc Savage and the movie. Click to enlarge. 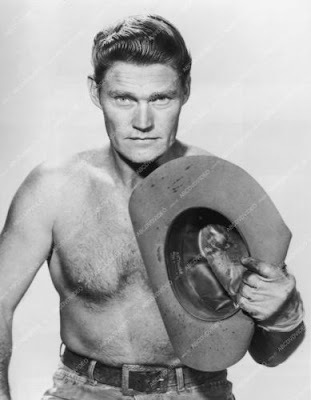 They contracted Chuck Connors, who had recently finished a successful run on the RifleMan tv series to play Doc, and began pre-production. Then, things stopped dead in their tracks. 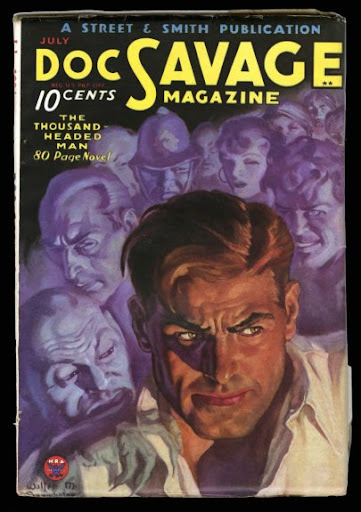 It seemed that Conde Nast, who now owned the Street and Smith library, including Doc Savage, The Shadow, and The Avenger, didn't own the ancillary media rights to the Man of Bronze! 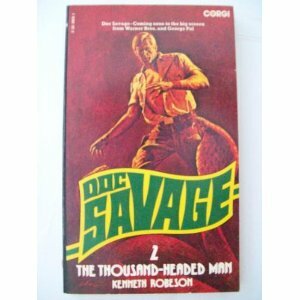 Those rights had been retained by co-creator Lester Dent, who had written most of the novels (including Thousand-Headed Man) under the "Kenneth Robeson" house name. (Dent, had previously licensed a short-lived radio version of the character, but had been unable to develop a movie or tv version. Mrs. Dent was more than willing to negotiate, but time was not on the producers' side. 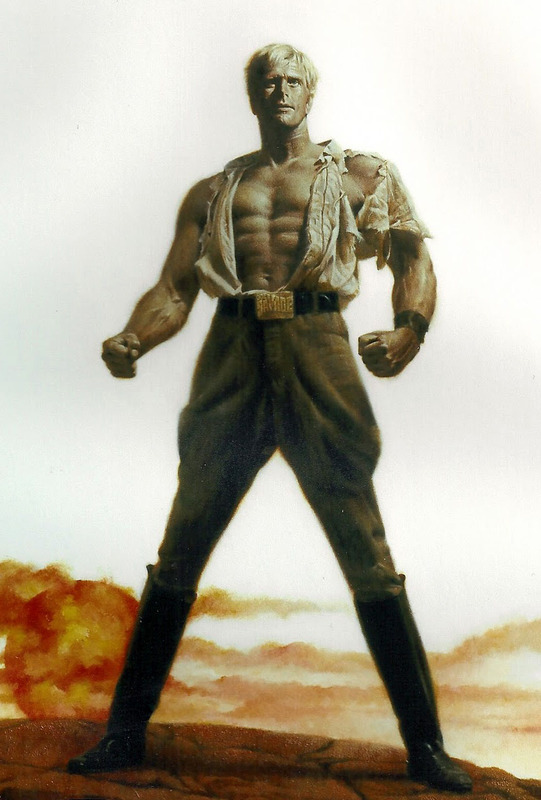 They had already scheduled the production, and had to start shooting something or lose their investment and the cast, most of whom had commitments scheduled after the Thousand-Headed Man shoot! The cast also included Frank Gorshin and James MacArthur. In the early 1970s, the character's rights were sold to legendary movie producer George Pal, who produced Doc Savage: the Man of Bronze, starring Ron Ely, in 1974. The Thousand-Headed Man was eventually dramatized...as a radio mini-series for NPR, who had scored great ratings with radio versions of the original Star Wars Trilogy . 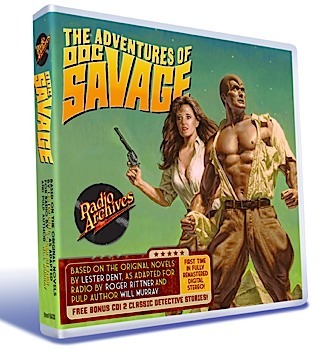 ...and the official cd release of the radio show adaptation! That could have been interesting to say the least. I love your dream cast.